Five one-design fleets, awash with competitors representing over a dozen nations, concluded six days of racing as the 2013 BACARDI Miami Sailing Week (BMSW) presented by EFG Bank wrapped up today. 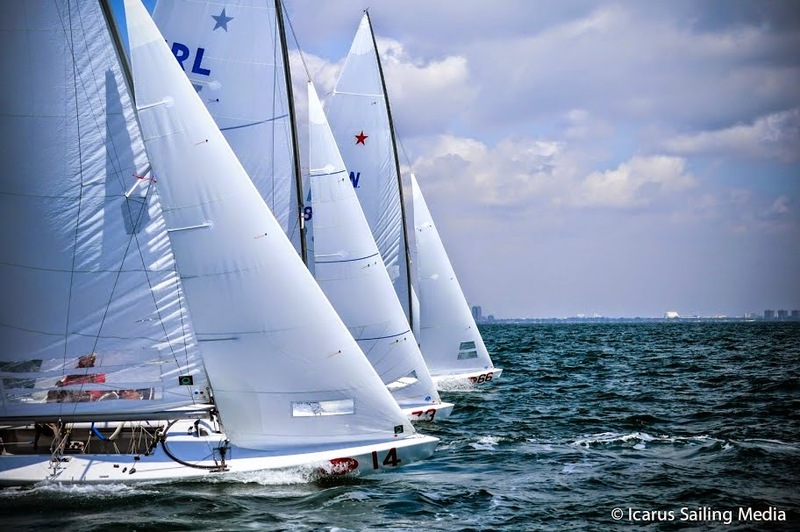 With points tight among the top contenders in each class, the big story of the regatta was the win of the 86th Bacardi Cup by the Florida team of Mark Mendelblatt (St. Petersburg) and Brian Fatih (Miami). Having started their series on Monday by picking up the max number of points for an over early start, the duo worked their way back up the standings to end the penultimate day of the series in second overall. "We started [the series] not in the best way, but we turned it around,” said Mendelblatt, who previously won the Bacardi Cup in 2005. “It was a disappointing start and it was my fault for not having a good first race. After that we've been very consistent with low scores. We won the last two races and everything went our way. 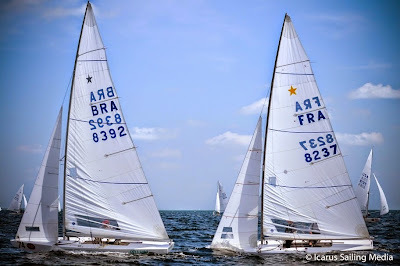 Winning the Cup again means a lot to me; it's really great because winning any big Star regatta is not easy at all! I am very happy to have had Brian with me. He is a great crew and wanted to have his name on the Tito Bacardi trophy. The Bacardi Cup is a great event and now, with the addition of all the other classes, it's even more satisfying." Mendelblatt and Fatih, who represented the USA in the Star class at the 2012 Olympics, won the single race contested by the 56 Star teams on the final day of the series to move to the top of the standings with 26 points. Lars Grael and Mario Lagoa (BRA), who had been atop the overall standings throughout the week, took second overall with 30 points after placing seventh in the race. Defending champion Xavier Rohart (FRA) ended the series tied on points with Grael after finishing the race in fourth place to take third in the overall standings. The only change for Diego Negri and Frithjof Kleen (ITA) or 2003 Rolex Yachtsman of the Year Augie Diaz (Miami, Fla.) and Arnis Baltins, was in the point totals as both retained their positions in the top-five with, respectively, 33 and 41 points.